Indonesia Travel Information and Travel Guide: "Finally we reached the KETEP PASS! Cool Cold air is very refreshing, thank God ". Quite tiring journey, from the city towards KETEP joga PASS. Given the twists trip to Ketep Pass filled with lost events. Originally journey begins from the spirit Touring motorcycle wear to tourism in Yogyakarta which can be reached by motorcycle. We From Yogya six people, headed there to look into beauty KETEP PASS, because at that time we also fit the holidays. So for just refreshing our streets there. 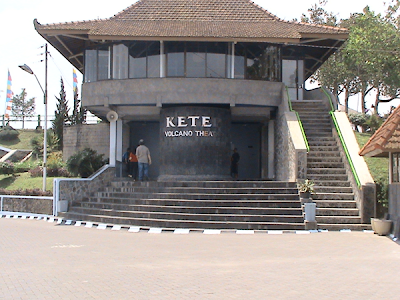 If in view of the way we headed to Ketep, is satisfied when he got there. Because the atmosphere comforts and beauty of nature there is very impressive, for visitors to travel pretty far from jogja. I, Bambang, July, maja, muhafid and fauzi, yes this is our gang when to KETEP PASS. None of us were not pleased, all were delighted with the trip to KETEP PASS. KETEP PASS famous sights with mountain scenery are truly stunning. Ketep panoramic beauty can be enjoyed from the terrace / courtyard "Panca Arga". From the courtyard, visitors can see five big mountain scenery in Central Java, namely Merapi, Merbabu, Sindoro, chippy, and slamet. In addition, a row of small mountains like Telomoyo, horse cart, Dieng, and manorehjuga hills can be seen from this place. and of course if you've tired of seeing the sights around and hungry, of course, many GAZEBO GAZEBO-around area for snacks, fill the stomach. Heheheh.